Fiveman makes me feel like a kid. I remembered the cool opening and ending song. I watched it on ABC-5 before it became TV-5 when I was a child. I had no idea who or what were behind Super Sentai until way later in life. 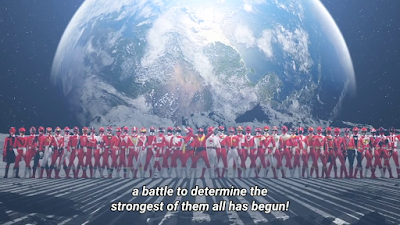 Then I started seeing fan subs and learned more about Super Sentai. 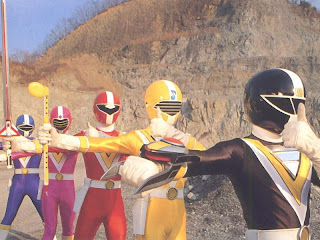 I even learned from Tokusatsu News Network that Fiveman nearly cancelled Super Sentai and Jetman became a smashing success. 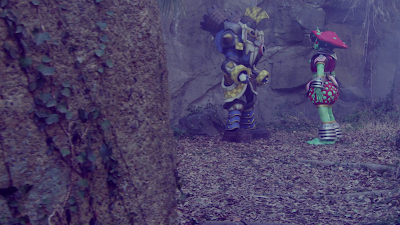 Hirohisa Soda was overworked since Turboranger and Fiveman was where he had no idea on what to do anymore with the 90s. How have my feelings shifted? It's after seeing a lot of shows before Fiveman and after Fiveman. One of these shows where my feelings for Fiveman changed is towards Chikyu Sentai GoGoFive. I watched GoGoFive and thought it was an improved version of Fiveman in terms of writing. If it's not Fiveman it's when I started rewatching more of Hirohisa Soda's masterpieces such as Maskman, Changeman and Liveman. Those were pretty good shows. Fiveman itself was where author burnt out sadly hit Soda and maybe Noboru Sugimura or Kunio Fuji should've been its head writer instead. The show suffers from several inconsistencies. Episodes by Soda tend to be too funny that I think maybe, Naruhisa Arakawa should've gotten involved. The only outstanding episodes for me were those written by Toshiki Inoue such as Billion's lover (which was inspired by Kiros' lover written by Kunio Fuji) or the one that involved a vengeance crazed prince who wanted to kill Dordora. Then again, we also had a taste of Inoue's humor through the episode about saving money. Soda had a couple of good episodes such as when Ken Hoshikawa beats a monster out of suit though others are downright stupid. Who can remember Dongoros' failed nursing home or when the Five Kun dolls were introduced? Fortunately the Five-kun dolls didn't last long because they were totally unnecessary. I could talk about the villains were mish-mashed. They were a bizarre combination of the Gozma Empire in Changeman with some references of Soda's older works. Zone's modus operandi of seizing and destroying planets is similar to Gozma. Galactic Empress Meadow would be similar to Star King Bazoo. Garoa feels like a dumb ox but entertaining version of Giluke. Dordora and Zaza operated like Fara and Faracat in Bioman. Dongoros was pretty much like the creature feature such as Gator and Anagubas except he's such an idiot. Billion had the characteristics of field commanders like Baraba and Mason except he does seem more practical than the rest of his crew. Chevalier was a game-changing villain though there were times he shows he could execute plans just as stupid as Garoa's or his overconfidence always gets the best of him. I think the villains ended up rather anti-climatically at times. I could talk about how Garoa started out as a threat to the Fivemen but ends up getting into the comic relief side. Chevalier showed he could be a threat with his charisma but he NEVER brought a single victory either. Replacing Garoa with Chevalier was just like replacing one bad cog with another. True, Chevalier was considered a fearsome foe but there are times he just appears to be too silly. Right after he became captain, he got overconfident he'd can the Fivemen that he failed to do so. Sure, he's more aggressive and involved than Garoa but there are times I think I can't take him seriously. Also, Empress Meadow was soon easily written off in order to introduce the Galactus-type villain in Vulgyre for the sake of a plot twist. There were no real buildups considering Soda had no idea on what to do anymore. But in spite of the flaws, I still think Fiveman is a pretty entertaining series. 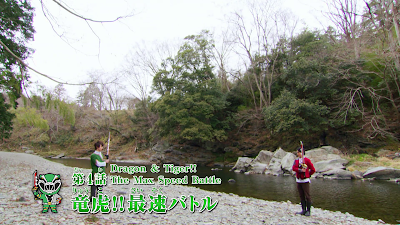 It's just like why I can still enjoy Carranger and Go-onger. Carranger didn't do much to bring ratings back. I even hear Go-onger is considered to be one of the worst series ever. Fiveman is no different. I tend to watch it for its crazy moments. While Fiveman was Soda at his weakest, nobody had an idea on what to do with the toys (ex. Max Magma was so underutilized when there were a couple of episodes that they could have used it more) but it's still fun to tap into my inner childhood with the show. It's still fun to learn a lot of life's lessons of the sibling Super Sentai teachers even as an adult. I still think we've got Fiveman to thank to why the masterpiece GoGoFive would later exist. I may still like Gaku Hoshikawa over Matoi Tatsumi as the better older brother but GoGoFive does a better family series overall. I guess writers would later learn from Fiveman's mistakes and how to create a better series. After all, what's innovative thinking without some failures and learning how to do better? So Gaku Hoshikawa Plays Pog?